Beauty and the Beast is the Disney live action remake of the 1991 animated hit. The tale as old as time is one of ostracism and romance. A sorceress condemns the arrogant Prince (Dan Stevens) to the realm of beast until he learns to love, and it will take the only other literate person in miles (Emma Watson) to break this spell (because, really, the only thing Belle and the Beast really connect on is their shared ability to read). 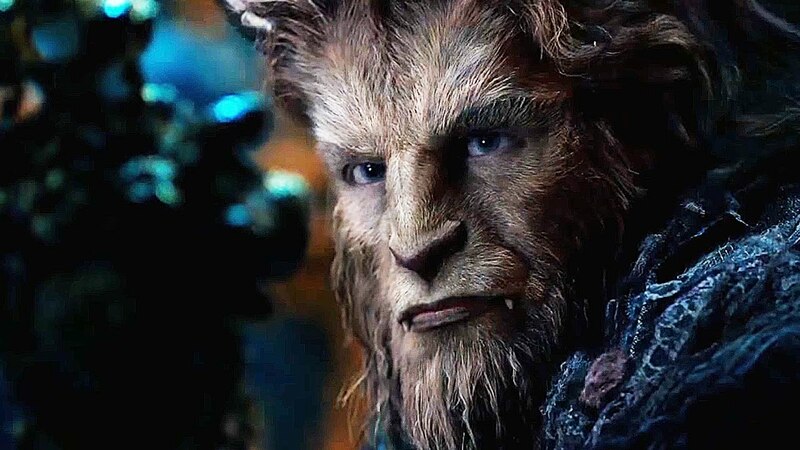 The 2017 Beast is a faithful adaptation, its added flourishes coming in the form of the Beast’s creature animation and fanciful production design. While this lavish display is not as appealing to the eyes as the film may want, at least in the interior of the castle, the overall approach to sets and costuming does the fantasy atmosphere justice. Even if it does ride to the edge of gaudy in certain big moments. As for narrative, there is little to comment on, as it is largely the same as the source material. The minor changes that are there are trite and/or controversy fodder. Keeping to the original, though, is not a strike against the film. Why change the story that worked so well the first time? This question is then countered by: Why remake the story when it worked so well the first time? The question has clout. While The Jungle Book was a game-changer in visual effect scope and immersion, Beauty and the Beast is largely just a live-action re-do. It doesn’t do much to warrant the recreation. If anything, it weighs itself down with its additional songs. The acting and musical performances from the cast are all quite effective. Watson, Stevens, and Luke Evans take care of the love triangle with energy. Stevens, in particular, does good work making human his computed character. Ian McKellen, Emma Thompson and Ewan McGregor round out the supporting cast with good performances as well. The Beauty and the Beast is a perfectly acceptable remake. The songs are largely entertaining. The production design is noteworthy. And the cast injects some charisma. But there is not much justifying the revamp aside from the inevitable payday for Disney.